ABS-CBN Lingkod Kapamilya Foundation Inc. (ALKFI), through its two programs, Bantay Bata 163 and Bantay Kalikasan sealed partnership with Suzuki Philippines Inc.
“We are so happy to receive the donation and support of Suzuki Philippines for Bantay Bata 163, specifically they have donated a van and four motorcycles for the operations of Bantay Bata 163.” Jacel Paguio, Operations Manager of Bantay Bata 163 shared. 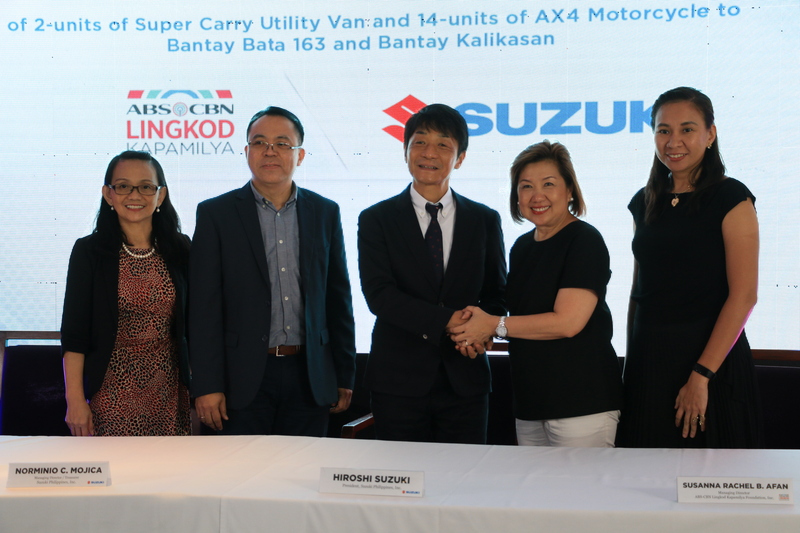 Suzuki Philippines donated two Super Carry Vans and 14 motorcycles for the two programs. 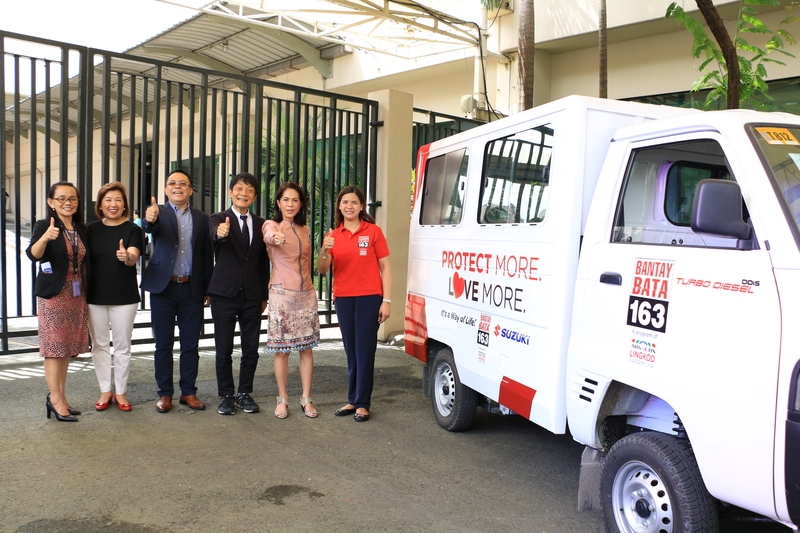 The two Super Carry Vans will be used as a service vehicle in Bantay Bata 163’s, halfway home, Children’s Village and Bantay Kalikasan’s assistant community, La Mesa Eco Park and Watershed. The 14 motorcycles will be used in four regional offices of Bantay Bata 163 and community sites supported by Bantay Kalikasan. 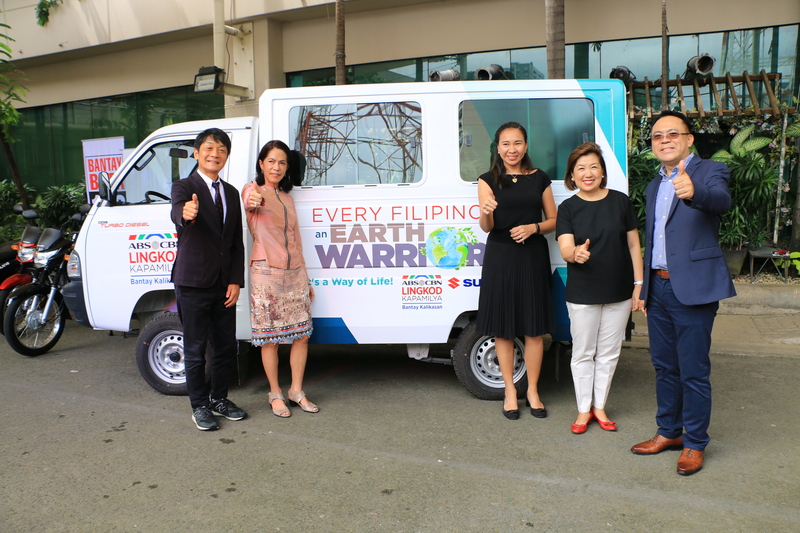 “We are very grateful to Suzuki for the van that will be used in La Mesa Ecopark’s operations. 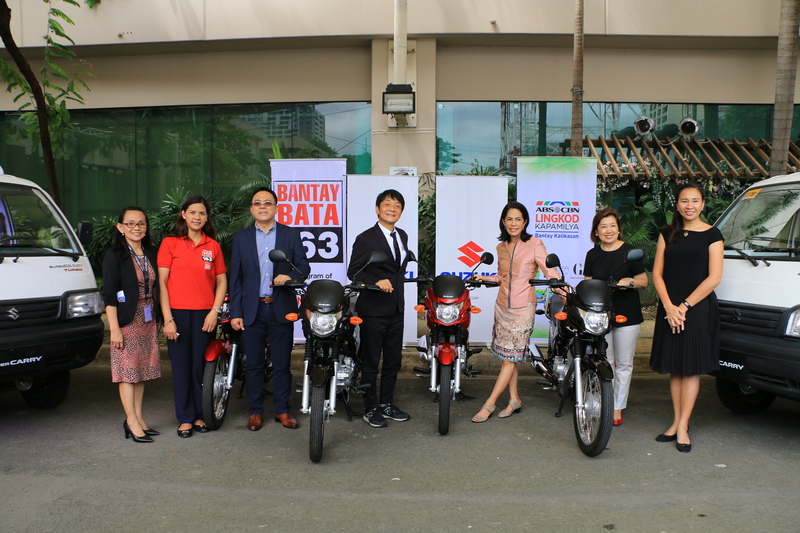 Some of the motorcycles will be given to our partner communities that they can use for livelihood and to their on – ground operations.” Jen Santos expressed. The partnership of ALKFI with Suzuki Philippines Inc. started since 2013 through its humanitarian aid program, Operation Sagip. Believing in the mission of Operation Sagip, they have done joint efforts in helping people affected by calamities. Also, in support with the residents affected during the Marawi sierge, they launched ‘One Suzuki for Marawi” campaign. “The campaign for a greener way of life and our youth's protection are given more attention now and it's high time that we do our share. We all have to do our part for the holistic development of our community and here we are taking a humble part in this big effort. It is a privilege to provide this assistance for these efforts through you our ABS-CBN Foundation Family.” Hiroshi Suzuki, President of Suzuki Philippines Inc., said. ALKFI would like to thank Suzuki Philippines for helping in passing the hope to every Filipino child, Filipino people affected by calamities and emergencies and for taking the initiative in protecting the environment. 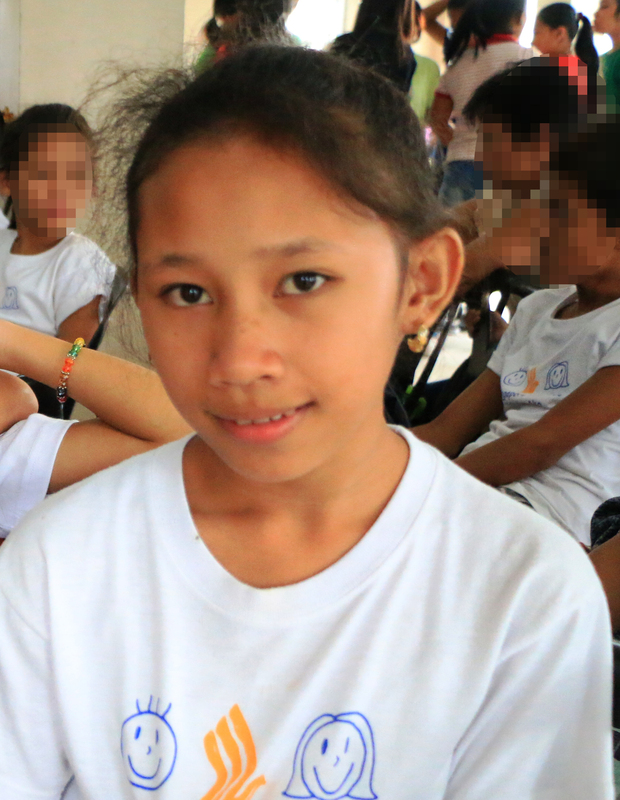 We hope more companies and organizations will be inspired to help more people in need.